I like to consider myself well-traveled. I taught English in Bangkok, Thailand for a year and traveled to many countries in South East Asia, including Indonesia, Vietnam, Singapore, Cambodia, Myanmar and Laos. I have sun-bathed on the beaches of Jamaica and explored the Mayan Ruins in Mexico. I've done Disney World in Florida, played the slot machines in Nevada, lived in Northern California, and have visited many other towns and cities closer to home. I was a free bird in my previous life.. before Brennen came along. Having a child with special needs brings extra challenges, and that includes not being able to just pick up and go on a whim. 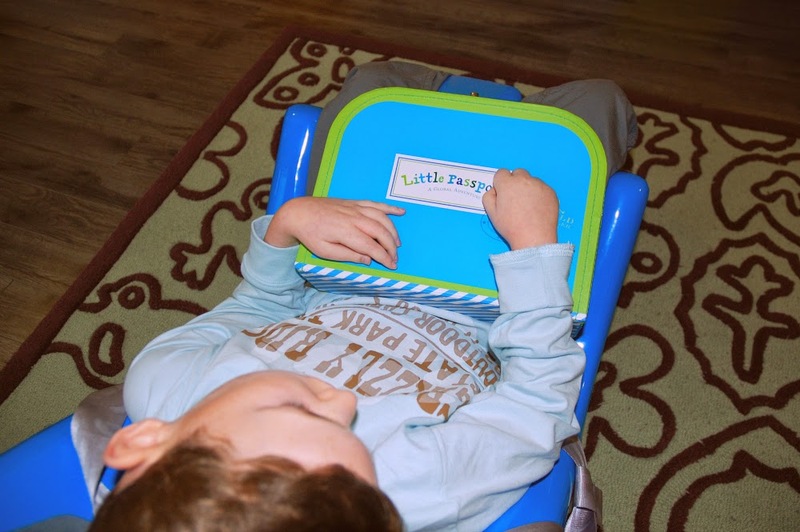 There is much more to consider when traveling with a child with a disability. Things like making sure to bring all necessary medical equipment, feeding supplies, and medications. 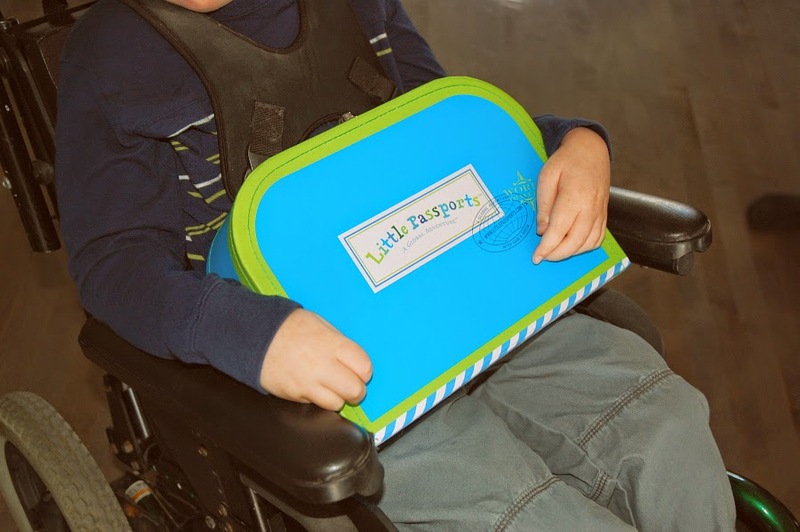 Brennen cannot sit in a airplane seat unassisted, so he needs a special car seat that is CSA approved to be safe for air travel. Some children, like Brennen, who have sensory issues may become stressed, anxious or confused in unfamiliar situations, and loud noises can be a problem on a plane or in crowded environments. This is all before you even get to your destination and have to face the accessibility issues that surely will follow. I'm sure there are families who travel quite a bit with their children, and I applaud them, but it is just not practical for us. It is a chore just to get out of the house some days! Don't get me wrong, we have traveled with Brennen before, and we will again, but in the meantime, it is nice to be able to bring little pieces of the world home to him. Enter: Little Passports! "Little Passports is co-founded by two moms who feel a strong passion to help raise a generation of citizens who are compassionate about the cultures and people around the world. Little Passports is deeply committed to educating children about other cultures as well as improving the livelihoods of children around the globe. Monthly packages deliver the world to your child via fun activities and online games. Each month our characters travel the globe on their magic scooter and share their experiences with your child. Your child will receive a personalized package in the mail that includes an adventure letter, fun souvenirs, activities and access to our online Boarding Zone full of activities and games. 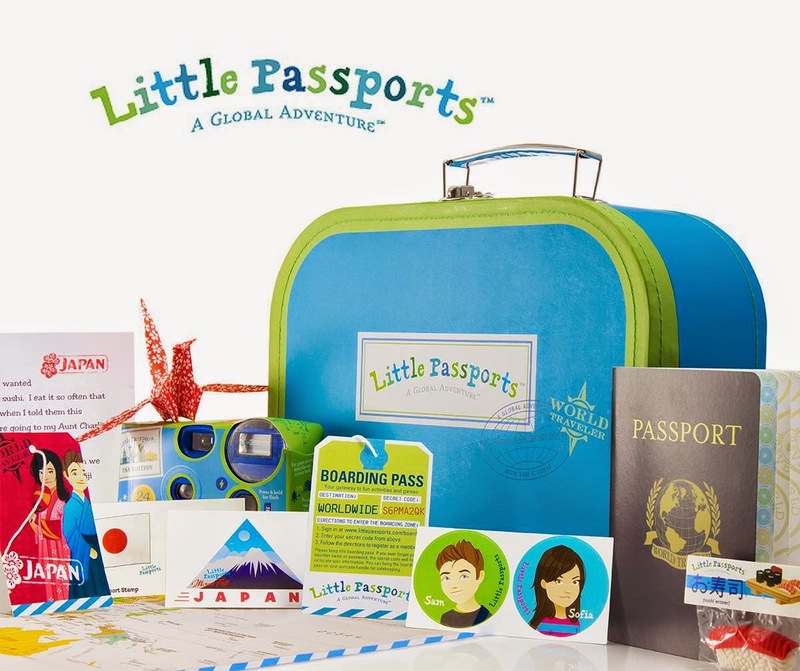 Little Passports is your child’s ticket to an exciting global adventure. Inspire a love and understanding of the world as your child learns about a country’s geography, history, culture, and language in a fun and memorable way." I was so excited when our Little Passports 'World Edition' Explorer Kit arrived at our door last week! The first month’s kit arrived in a fun and colorful travel suitcase which contains everything we need to get started on our virtual trip around the world, including a letter from the globetrotting characters Sam and Sofia, a map, a passport, stickers, and access to online games and activities. We had so much fun personalizing the suitcase and passport for Brennen, and getting to know Sam and Sofia through their letter and online activities. 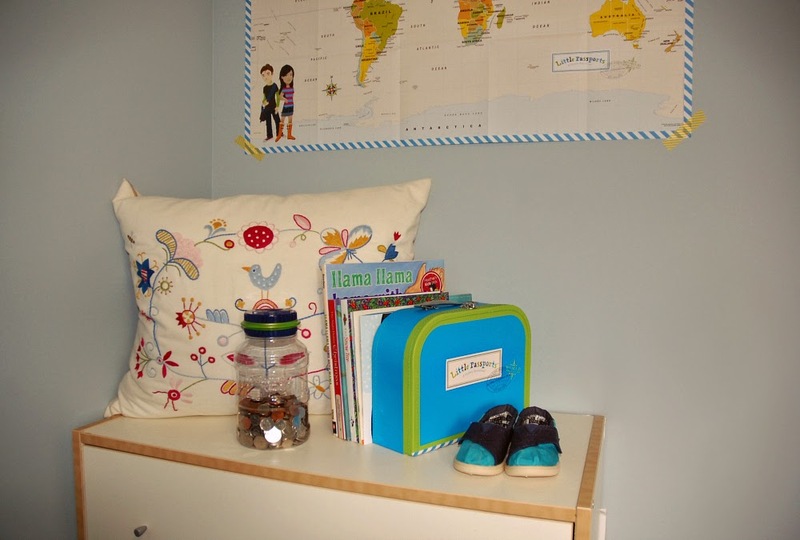 Sam and Sofia visit a new country every month and will send us country-specific packages filled with fun souvenirs, letters, stickers, photos, activity sheets and more. We are excited to find out where their first stop will be! 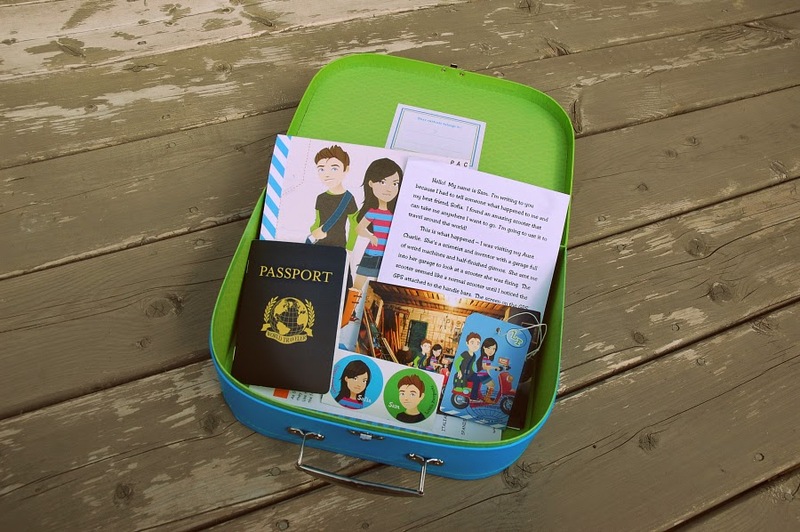 I'm not sure who loves this more, me or Brennen, but I know that Little Passports has created the perfect way to bring adventure and discovery into our home. The map hangs on the wall in Brennen's room so we can see where we've been and where we want to go next! I can't wait to add stamps to our passport! 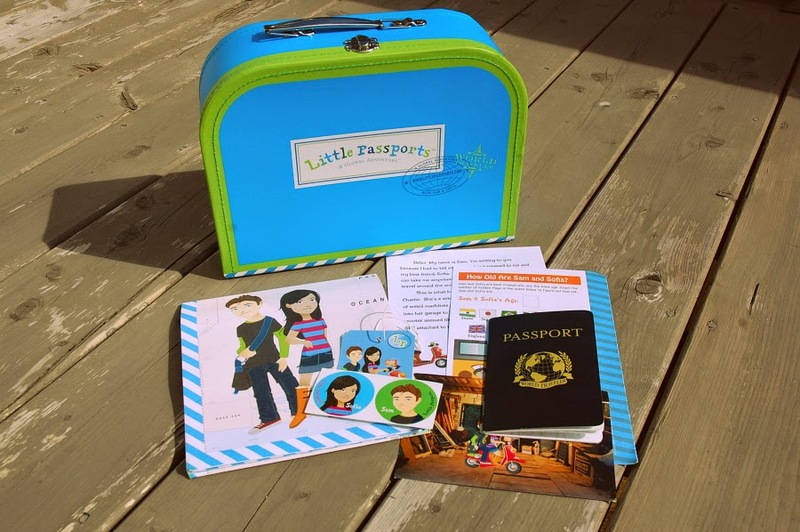 The Little Passports World Edition is recommended for ages 5 - 10. With a price as low as $10.95 / month, you can't go wrong! There is a monthly plan, as well as a 6-month and 12-month plan. 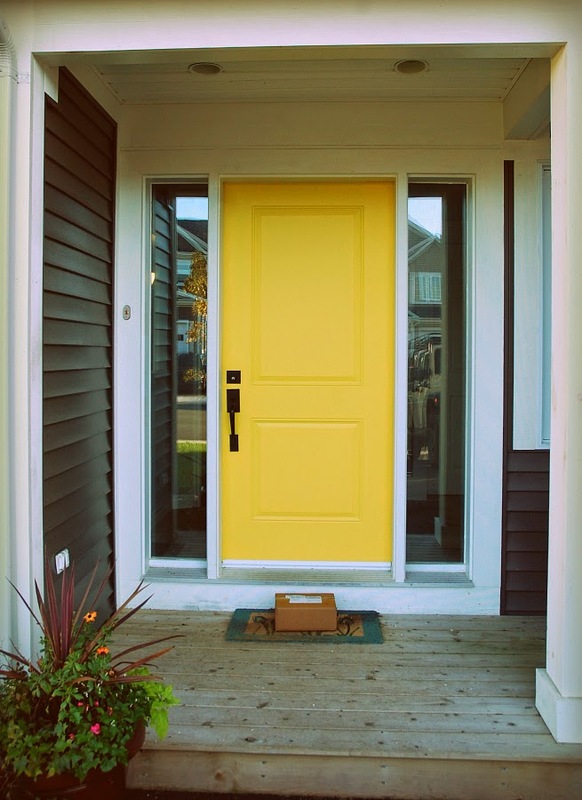 After subscribing, you'll receive your first package with the Explorer Kit in about 3-4 weeks. After that, new country kits will arrive around the 3rd week of every month. Great news! Little Passports is now on sale! For just a few days you can receive any of the Little Passports subscriptions for 15% off. Simply use the promo code: FALL14 at checkout. Get a jump on your holiday shopping, but don't wait… this sale ends September 26th. Click on the links below to subscribe!